A unique event building a solid and durable bridge between leading European architects and a selected group of Industrial Premium Partners. 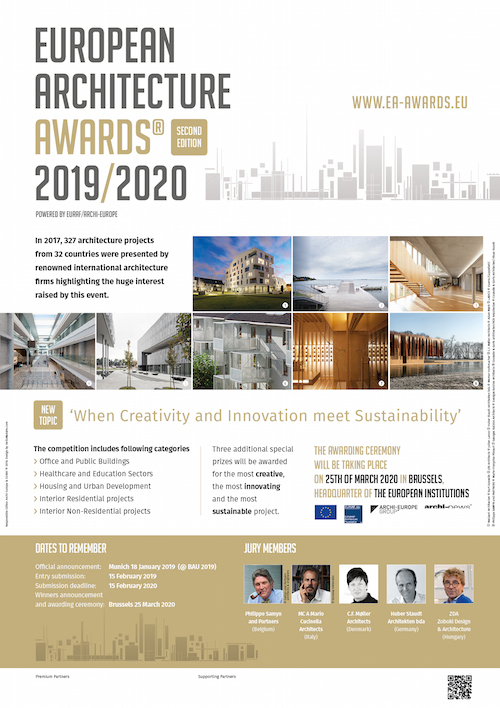 An International architecture competition entirely devoted to students in architecture worldwide giving them the opportunity to win a traineeship in top architecture offices. An incredible opportunity to enter the professional world! Students of the 4th edition of Archi-World Academy will be rewarded in Munich on 16 January 2019 in the presence of the jury members. Full program to be published shortly.